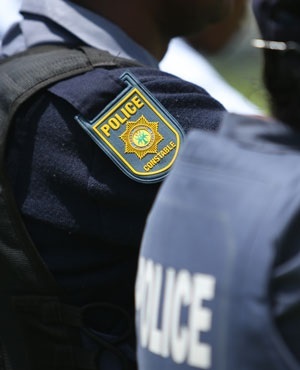 Durban - Police have been stretched as looting of foreign owned shops continue in the Umlazi and KwaMashu areas on Monday evening. Jeff Wicks, for News24, reported that riot police have been stationed in Gale Street in central Durban. He said some of the police had to be redeployed from Umlazi to attend to the volatile scene. Wicks said there were fears that the mob may regroup. "Officers maintaining a strong presence here." Earlier a group of protesters marched from Dalton Road hostel down Sydney Road, when they were marshalled back to the hostel. According to News24’s Giordano Stolley: "At this point cops marshalled them into Melbourne Road from Gale Street." The crowd then threw bottles and rocks at the cops. Police then fired stun grenades into the crowd. The latest protest follows the looting of shops in KwaMashu on Monday morning, after an outbreak of overnight violence aimed at foreign-owned businesses. According to POP about five or six shots were heard in the hostel after they fired stun grenades. A water cannon has arrived at the scene. "Members of the committee at the hostel have approached police and asked them not to use any more tear gas, as it is affecting small children in the housing complex," Wicks reported.